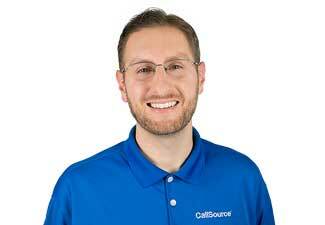 For this installment of Meet the CallSource Team, I chatted with Shawn Kelly, our Client Support Supervisor here at CallSource. I’ve held multiple positions within CallSource and while each of the positions had different priorities, my main responsibility has always been to the client and making sure I can do whatever is necessary to help them with their needs. Interacting with my team in a professional and social context. Everyone pitches in to help out with projects and troubleshooting difficult problems. Our teamwork drives our success and managing that process is very rewarding. We also genuinely have fun throughout the work day so it’s not all spreadsheets and numbers. I know that outside of your time here, you enjoy writing screenplays. I also know from sitting close to you for a couple years that you really enjoy movies and comics. Tell me a bit more about that! I always loved movies as a kid but I fell in love with cinema after watching The Usual Suspects. The end of that film is like a magic trick (no spoilers!) and after watching it a dozen times I became more interested in how they pulled it off. I became insatiable for other great movies and expanded my film intake to include classic films (black and white) foreign and indie cinema. If it’s good, I’ll watch it! What is your all-time favorite movie? (Ok, I can give you a top 5 if picking one is too hard). How about a top 10? I’ve got a running list of my Top 1,000 Movies but no one has time for that. In line with your love of cinema, you always hold an “Oscars Pool” here at CallSource. What do you think was the best Oscar-nominated movie of this past year and why? I thought Get Out was an incredible piece of cinema that played with genre, expectation and good old Hitchcockian thriller rules. It also did a tremendous job of being funny, unnerving and surprising while being a relevant social commentary all at the same time. There’s a reason Jordan Peele won the Oscar for Best Original Screenplay. What other hobbies do you enjoy besides watching and writing movies? I love to run on the trails of So Cal, especially when it’s hot! I’m also an avid golfer and reader. If you could tell us one thing about you that people may not expect, what would it be?